Don't let your money burn a hole in your pocket. Avoid these wild ways to spend your refund. According to the IRS, the average taxpayer will wind up with just less than $2,800 as a refund this year. While that may sound like a ton of money, it can disappear in a hurry. What will people do with this dough? Sadly, in my experience, nothing constructive. When I was a financial adviser, I saw people largely treat tax refunds as found money. They’d spend it like a drunken sailor on shore leave, trying to empty their wallet before their ship left the harbor. Money burns a hole in most people’s pockets; all you have to do is watch the craziness that ensues once that tax refund check comes in to witness the wild ways people choose to spend their hard-earned dollars. Like what? Great question. 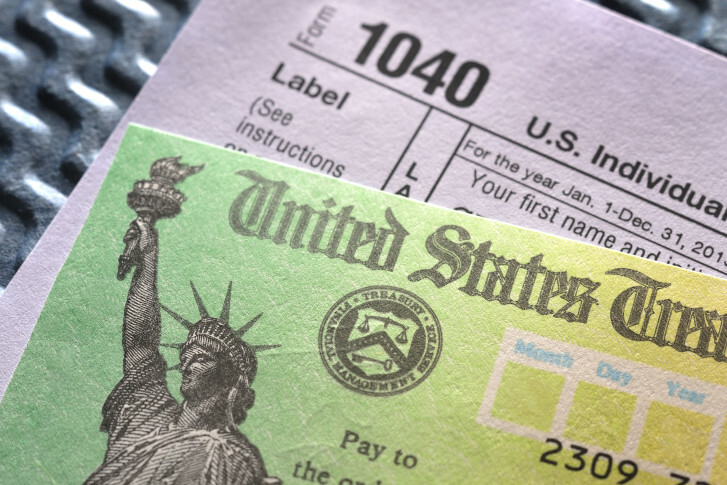 Let’s count some of the horrible ways to blow your tax refund. 1) Buy a boat (or car, motorcycle or Jet Skis). Trying to create a bigger financial problem for the following year? Here’s an idea: Use your entire tax refund as a down payment on a loan for a depreciating asset. While buying a car from a dealer would be a sufficiently wasteful use of money, a better way to blow your cash is to buy something that you won’t use daily, like a nice pontoon or maybe Jet Skis. 2) Book an expensive vacation. While $2,800 will buy lots of vacation, if you want an epic trip, blow all of your tax refund AND max out your credit cards. You’ll have lots of photos, fun, plus bills and regrets until next year’s refund. If you’re like one family we know, you’ll repeat this mistake year after year. 3) Double it. Why settle for just less than $3,000 when you could win bigger? You aren’t like those others who lose at the roulette table, are you? There’s nothing more thrilling than betting your tax refund against the odds at a casino. This is your opportunity to make lots of money, quickly. The best news? If it turns out that you do lose all of your money, you might qualify for a gambling tax loss. That way, you make lemonade out of self-inflicted lemons. Right? 4) Buy “stuff.” Although we’ve been told countless times that more things won’t make us happier, many people are still willing to try. We live in a consumer-driven society, and stores are chock-full of items destined to clog the shelves of your house. Sure, you don’t need another collectible, but it’ll be something fun to stare at when you’re stuck at home without money. 5) Paying down debt without changing the underlying behavior that created your debt in the first place. When I was a financial advisor, I saw what a problem this was for people. They’d take out loans from banks, borrow money from others or secure a higher paying job, but still spend money without a plan. The result was sickening. They’d pay down debt only to see it reappear again, over and over. Until you take control of your spending, begin tracking how money leaves your wallet, create walls between yourself and bad habits, and build wealth, you’ll find yourself on the debt-relief yo-yo over and over. Scary, huh? You can do better. While a tax refund can provide some instant gratification, why not make this year the time to create lasting change. Are you ready for that? If so, here are three better ideas. 1) Invest the money. If you’ve never invested before, start by building an emergency fund. Experts recommend socking away between three and six months in a high-interest savings account before you begin building your long-term nest egg. If you have your reserve in place, a low-cost exchange traded fund inside of a Roth IRA could be a nice tax-sheltered method to invest. Check with your tax advisor to see if you qualify for a Roth IRA. 2) Pay off high-interest debt. The best investment, if you’re drowning in credit cards or personal loans, may be to pay down that debt. If you have a credit card with a 14 percent interest rate, that’s a guaranteed 14 percent return if you pay it off. You won’t find that in the stock market in an average year. Avoid this mistake: Many people will use every penny of their refund to pay off debt without an emergency fund in place. If you skip the emergency fund, you run the risk of having to use your credit cards the next time your muffler is dragging behind your car. 3) Buy investments in yourself. If you’re going to buy “stuff,” decide on assets that will help you grow your net worth more quickly. Invest in books or classes on entrepreneurship or into that hobby you’re hoping to turn into a job. Buy materials that will help you set up shop or buy inventory to sell. By investing in yourself, you can turn your $2,800 refund into much more money without heading to the casino! Tax refunds only come around once per year, and when they do, you have to be prepared to make the best use of this money. Otherwise, you’ll be stuck regretting this big life decision for another 12 months until (hopefully) you receive another chance. Make this year a game changer!